A client requested a logo to represent her brand of clothing, beginning with a line of seersucker dresses. The tagline of the brand is TWIST: A Classic Twist on American Fashion. A line of golf clothing for women. They wanted a feminine, yet classic, logomark that could be transferred to clothing labels and hangtags. A brand mark was also created for use in ancillary materials. 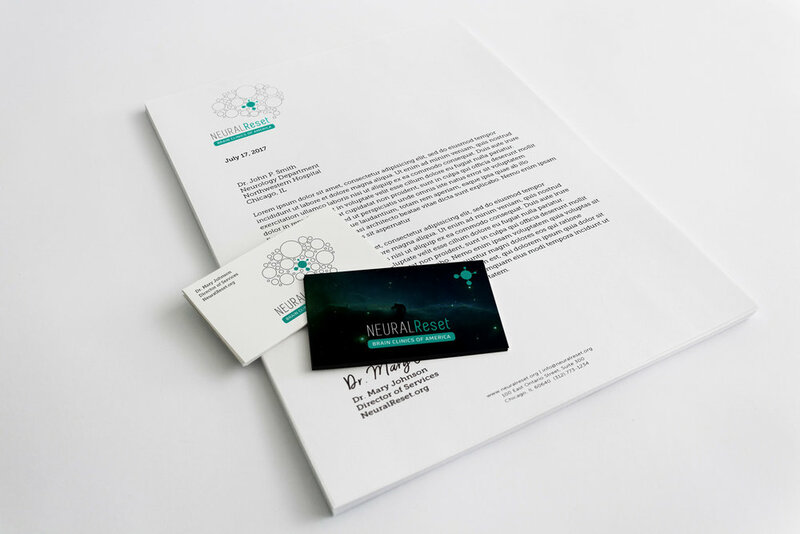 Branding for a new line of clinics specializing in treatment for post-traumatic stress and other brain stem-related traumas. A mockup study of possible logos for new café/coffee shop to open in Chicago in June 2018. A design studio needed a logo that expressed their organic and creative way of thinking and idea generation. I chose imaginative shapes to highlight their creativity and a bright yet soothing color palette.